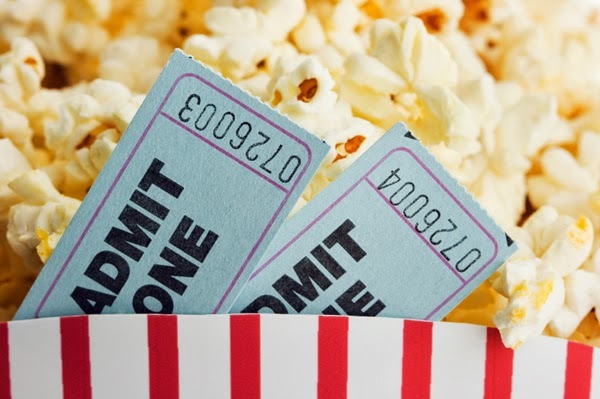 Summer is drawing near and that means movie season is in full force! Normally I'm not a huge movie goer but that changed last year, and with the high conversion rate of my favorite books to movies lately (and an onslaught of sequels) I have quite a list of movies I'm looking forward to. Thought it would be a nice break from all things beauty to share some movies I am looking forward to as well as naming a couple that I have already seen. These are broken up into three categories: Must See in theaters, preferably on opening night; Either Way, movies I'm excited about but not necessarily NEED to see in theaters; and Wait For It, is more of the guilty pleasure or silly movies that I can wait until they come out on DVD (or streaming services) to see. While I'm really not a fan of the main actress (Shailene whatsherface) I still had to see Divergent, it was an awesome book (and the best out of the trio in my opinion) so I was interested to see how well they would make the movie. This came out already and I watched it pretty much right away. I'm withholding my opinion on it. These giant monster movies really get me and naturally Godzilla makes it onto the list. Personally I was a fan of Pacific Rim because sometimes you just need those impossible sci-fi action movies to bring some excitement in life. At first I was very whatever about Transformers: Age of Extinction and then I realized it was the movie with dinobots, sold. I'm not expecting this to be good but I still want to see it in theaters because the big screen really makes a difference in giant robot battles. I wasn't a comic book junkie growing up but I love these Marvel films so Guardians of the Galaxy makes it on the list as a must see in theaters, also since its prime summer debut time is excellent. I love love LOVED Maze Runner so I was so excited to hear that it was being made into a movie. Cannot wait for this! Of course Hunger Games, not sure how they have enough content to break it up into two movies, but I loved this last book, it was so dark and twisty, all my favorite things when it comes to a story. I hated the first movie, the second one kind of got on my nerves, but The Hobbit has some serious sentimental value to me so I must loyally finish out this trilogy in theaters. I'm a Liam Neeson kind of person so despite Non-Stop looking a little cheesy, I still want to watch it. The first Captain America I actually liked a lot out of all the Marvel movies so if The Winter Soldier hadn't been so overly hyped I would be more excited to see it. X-Men: Days of Future Past seems like it will confuse me a little and usually they seem overdone and overwhelming in theaters so this is one I definitely want to see but it's not absolutely necessary to see on the big screen. I'm not super excited to see this, but I do love Disney and from the trailers it looks very well made. Maleficent is one of those movies if there's a weekend where I have nothing to do I will go see it. Again, I hate the actress Shailene, but I still want to see The Fault In Our Stars. The fact that she is the main actress is what makes me not want to see it in theaters, but we'll see what happens. 22 Jump Street. The first one was hilarious so I can't wait for this to be out in theaters, hopefully I get a chance to see it but if not I won't be too sad about waiting for it to come out on DVD. This was a really interesting book so I'm intrigued at how they will manage to translate Gone Girl into a movie. I'm almost embarrassed to say I want to watch Paranormal Activity: The Marked Ones but I just love found footage style movies. It's been out for awhile now, still waiting for a good version to stream. The Flowers in the Attic movie didn't really capture how sick and twisted the books really are, but I loved that Lifetime did a remake of it and I still enjoyed watching it. Definitely go pick these books up if you haven't. Even though sequels normally never pan out, the first movie was adorable so I still want to watch Rio 2, but I definitely learned my lesson about going to animated movies in theaters. Neighbors is one of those funny movies that I know will be bad but I want to watch anyways. I'll admit, I didn't even watch the first HTTYD movie until maybe a month ago, but now that I did I'm looking forward to How To Train Your Dragon 2. The first movie was pretty bad but I'm still wanting to see the second one they are making, The Purge: Anarchy, definitely watch this from the comfort of my bed because despite the first one being kind of dumb in the end, there were a few jump scares that got me. Here's another guilty pleasure, not even going to try and defend it but Dolphin Tale 2 is on my list too. Sometimes you just need that feel good movie in your life. Alexander and the Terrible, Horrible, No Good, Very Bad Day. I can't believe they are making this into a movie, this was a beloved childhood story so of course I need to watch it. Paranormal Activity 5. It just never ends, but like I mentioned above I'm hooked on found footage (reference my Netflix for proof) and even though every single one of these movies are exactly the same, still gotta watch it. What are some movies you are looking forward to this year? Captain America: Winter Soldier was really, really well done! I hope you end up going to see it! I did end up seeing it in theaters and I loved it! Can't wait for the third one!